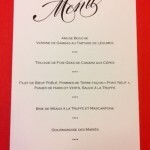 Thank You Cards & Thank You Notes by Vera Wang, William Arthur & Crane & Co. The above example illustrates a fold over thank yo note from Crane & Co. The Regent Blue “Thank You” is printed in lithograph on Ecruwhite 100% cotton paper. It’s size if 3 13/16 x 5 5/16 inched, it’s priced at $18.00/box retail available at Hyegraph Invitations & Calligraphy at 3 Embarcadero Center, San Francisco, CA. 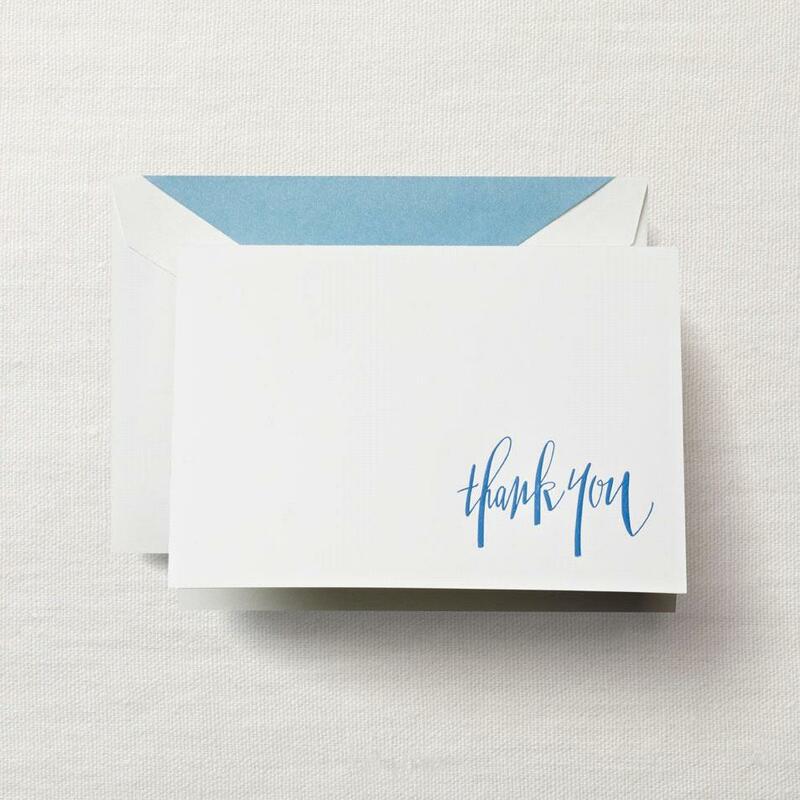 The above example of a thank you note illustrates the engraved thank you in Newport Blue on Pearl White paper 100% cotton paper. The price is $19.00 for a boxed set of 10 notes and 10 envelopes available now at Hyegraph at 3 Embarcadero Center, San Francisco, CA. 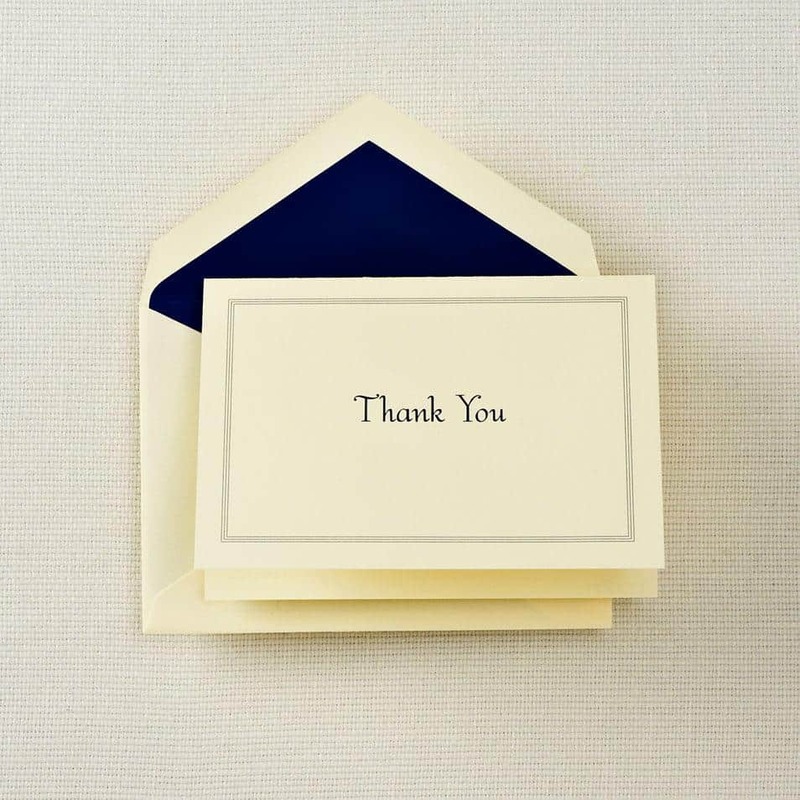 This thank you note is recommended for a informal thank you like a baby shower of baptismal thank you. 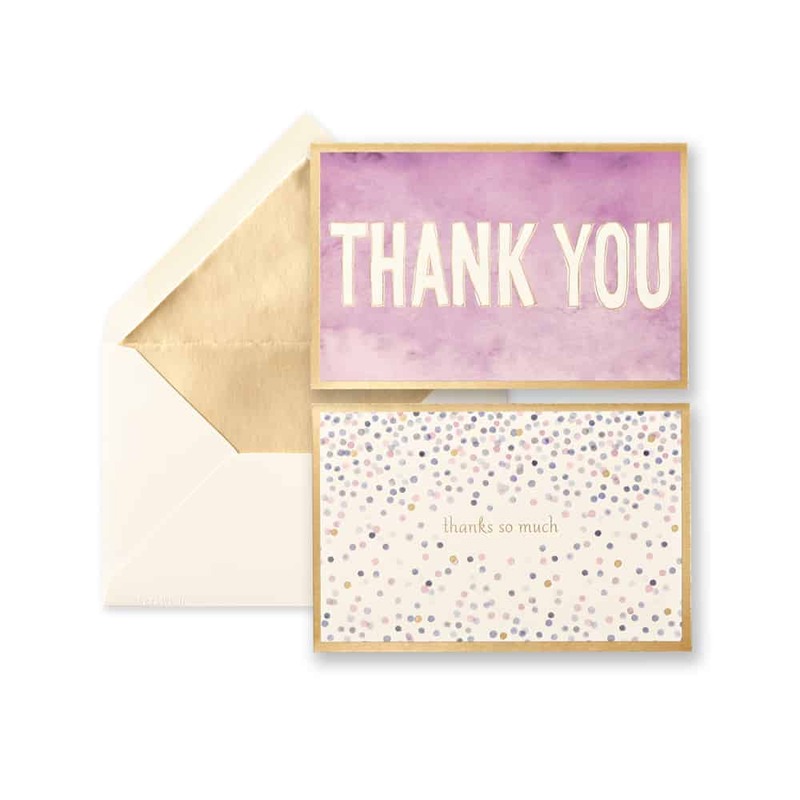 The above thank you note illustrates designer style thank yous by Vera Wang and William Arthur in Watercolor Ameythist on Oyster colored paper foiled stamped with gold lining. All items are made in the USA. This boxed item contains two designs which say “THANK YOU” and “thanks so much”. You can see more of our Vera Wang, William Arthur and Crane and Co. stationery designs on our blog. 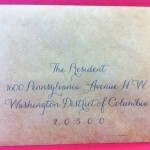 You can also call, email or come in to our store to order custom stationery and pick up your orders.